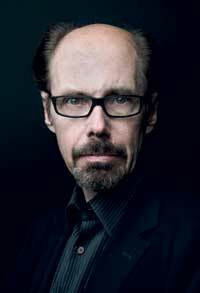 A former journalist, folksinger and attorney, Jeffery Deaver is an international number-one bestselling author. His novels have appeared on bestseller lists around the world, including the New York Times, the Times of London, Italy’s Corriere della Sera, the Sydney Morning Herald and the Los Angeles Times. His books are sold in 150 countries and have been translated into over twenty-five languages. He has sold 50 million books worldwide. The author of over thirty-five novels, three collections of short stories and a nonfiction law book, and a lyricist of a country-western album, he’s received or been shortlisted for dozens of awards around the world. His The Bodies Left Behind was named Novel of the Year by the International Thriller Writers Association, and his Lincoln Rhyme thriller The Broken Window and a stand-alone, Edge, were also nominated for that prize, as was a short story. He has been awarded the Steel Dagger and the Short Story Dagger from the British Crime Writers’ Association and the Nero Wolfe Award, and he is a three-time recipient of the Ellery Queen Readers Award for Best Short Story of the Year and a winner of the British Thumping Good Read Award. Solitude Creek and The Cold Moon were both given the number one ranking by Kono Misurteri Ga Sugoi in Japan. The Cold Moon was also named the Book of the Year by the Mystery Writers Association of Japan. In addition, the Japanese Adventure Fiction Association awarded the The Cold Moon and Carte Blanche their annual Grand Prix award. His book The Kill Room was awarded the Political Thriller of the Year by Killer Nashville. And his collection of short stories, Trouble in Mind, was nominated for best anthology by that organization, as well. Deaver has been nominated for numerous Edgar Awards from the Mystery Writers of America, an Anthony, a Shamus and a Gumshoe. He was shortlisted for the ITV3 Crime Thriller Award for Best International Author. Roadside Crosses was on the shortlist for the Prix Polar International 2013. His most recent Lincoln Rhyme novels are The Cutting Edge, The Burial Hour and The Steel Kiss. For the Kathyrn Dance novel, XO, Deaver wrote an album of country-western songs, available on iTunes and as a CD; and before that, he wrote Carte Blanche, a James Bond continuation novel, a number-one international bestseller. Jeffery Deaver was President of the Mystery Writers Of America organization in 2017 and 2018. Learn more about Jeffery Deaver by reading the Q & A with the most frequently asked questions.